It's a scavenger hunt... with zombies! Figure out if your partner and you are zombie ready! From the moment you enter the castle gates, you will be immersed in a 2 hour long zombie survival scenario where you and your partner have to collect items to survive the zompocalypse while fighting for your life! 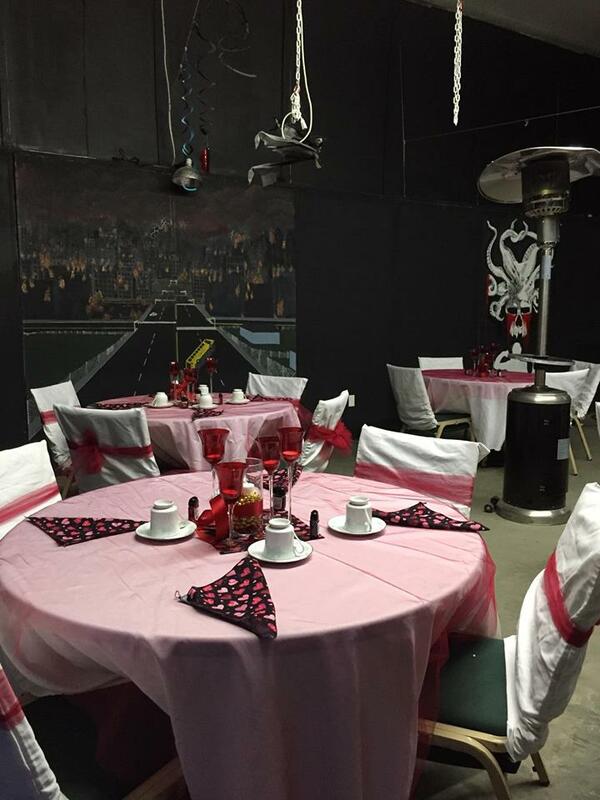 All participants will receive a custom My Zombie Valentine patch and a complimentary dessert, coffee, or tea while scores are being tallied. 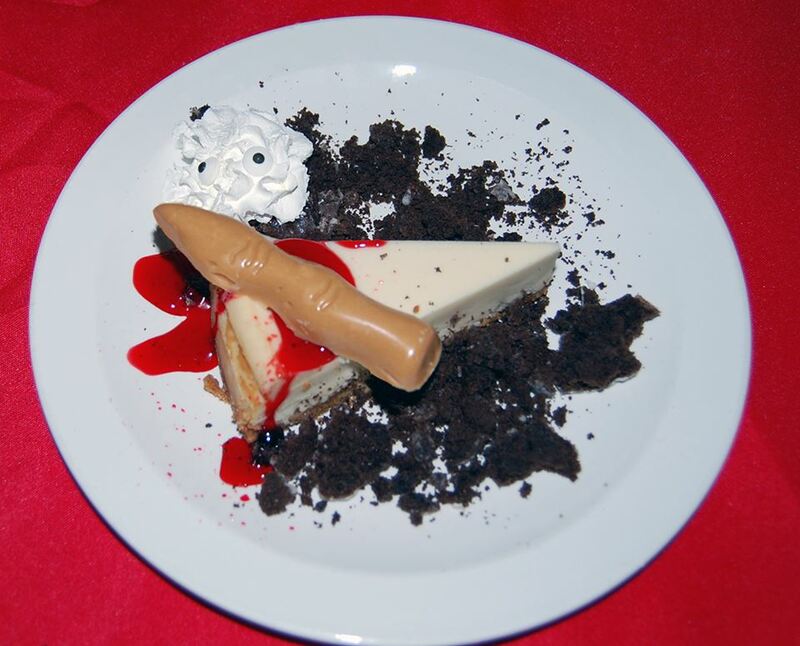 Enjoy a full candlelit dinner from Cowboy Brazilian Steakhouse for some much needed energy after the fight! This is a two hour Zombie survival experience which can be frightening. At times you may be in total darkness, hear loud sounds, see flashing lights, and come into contact with our "scare actors." When you enter our compound, it is like entering a situation very similar to The Walking Dead. This experience will require you to work with your partner, follow a map and find items that you need in order to survive the experience. You will use Nerf Axes and paintball guns to kill the Zombies before they turn you into one of them! You will reserve a spot for the event when you purchase your tickets. There are no refunds. The zombie experience will take place even if it rains, so come prepared. You will need to sign a liability release form on site in order to participate. You must be 18 or older to participate. If you are 16 you may participate if accompanied by a parent. This activity will require you to walk on uneven surfaces outside. 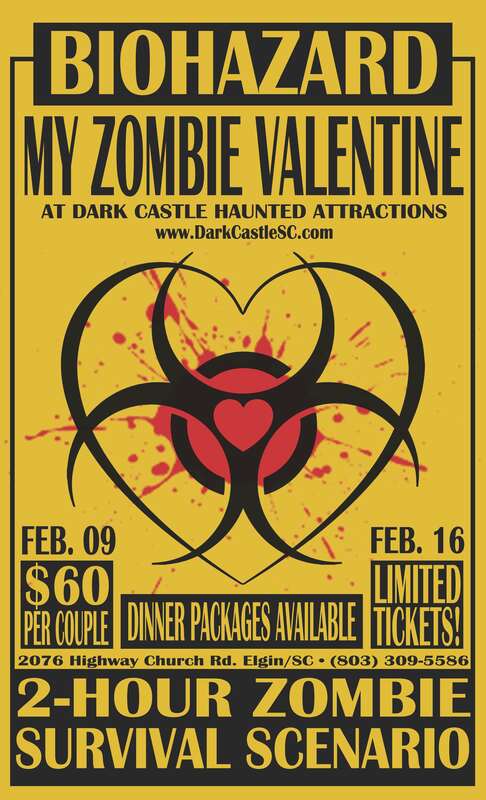 It is not recommended for women that are pregnant or anyone with heart conditions or other health problems that may be made worse by participation in the Zombie Valentine Experience. Do not bring cellphones, weapons or flashlights. Do not touch the props, sets, or other items on the property unless given instructions to as part of the experience. Suggested items to bring/wear: warm clothes, waterproof wear if the weather is wet, tennis shoes or hiking boots. You will be outside and in the woods for part of this experience. We reserve the right to deny entrance to anyone that is intoxicated or behaves in a threatening manner. Bottle service is provided for those dining with us. You must be 21 or older in order to bring an alcoholic beverage. This will be an experience that you will not forget!